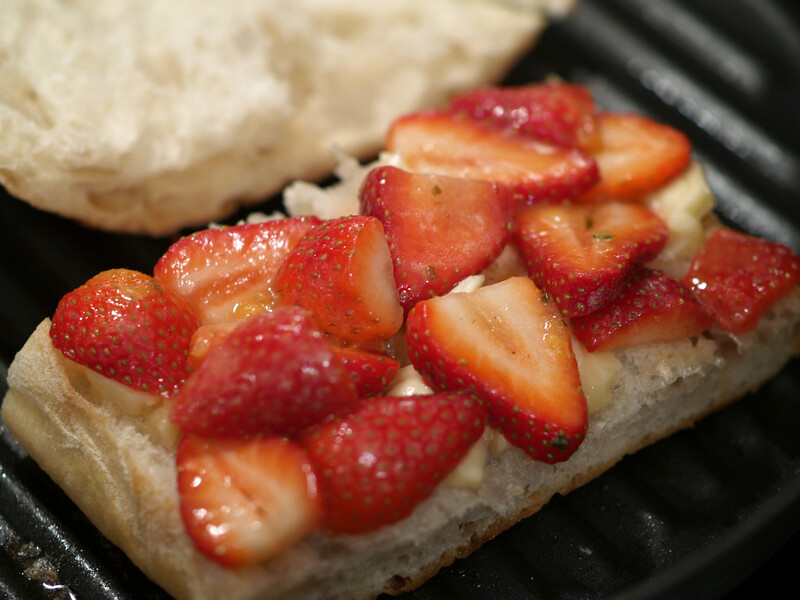 In a tribute to Valentine’s Day, I had to create a grilled cheese sandwich with strawberries, a main ingredient of the holiday. Last year, I went with a strawberry/mango grilled cheese, so this year I had to switch it up just a bit. I kept with the strawberry theme and instead of mangoes went with oranges. I figured the strawberries and oranges would go well together and I was correct. 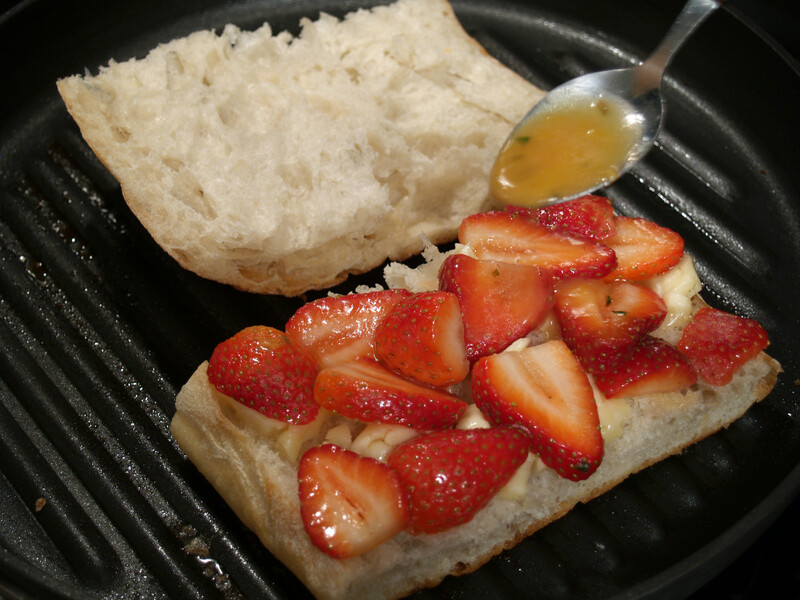 Brie is often paired with sweet foods so it was a no-brainer to include it in a strawberries and orange vinaigrette grilled cheese. This Brie was pretty standard and very yummy. As you will see, it worked well with the grilled cheese. How did “real” Brie cheese come about in the first place? Well, according to cheese experts, producing Brie cheese started in the French province called, not surprisingly, Brie – a town 60 miles from Paris!The oldest recorded evidence of its existence was found in the chronicles of Charlemagne. 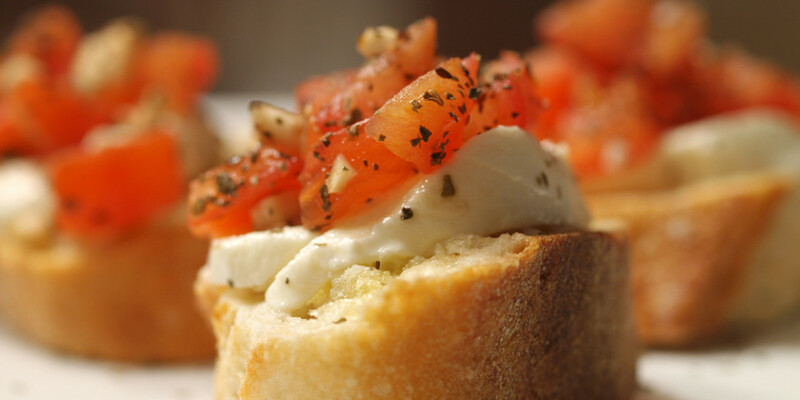 The Emperor at the time, tasted the cheese in the city of Brie around the year 774 BC. And here’s another interesting tidbit about Brie cheese… Louis XVI’s last and dying wish was supposedly to have a final taste of Brie. It is sometimes called Brie de Meaux and is considered one of the most popular of the 400+ cheeses from France. Brie de Meaux’s popularity can be attributed to a competition that took place around 1814. During a Vienna Congress, an argument broke out regarding which country made the best and finest cheese. 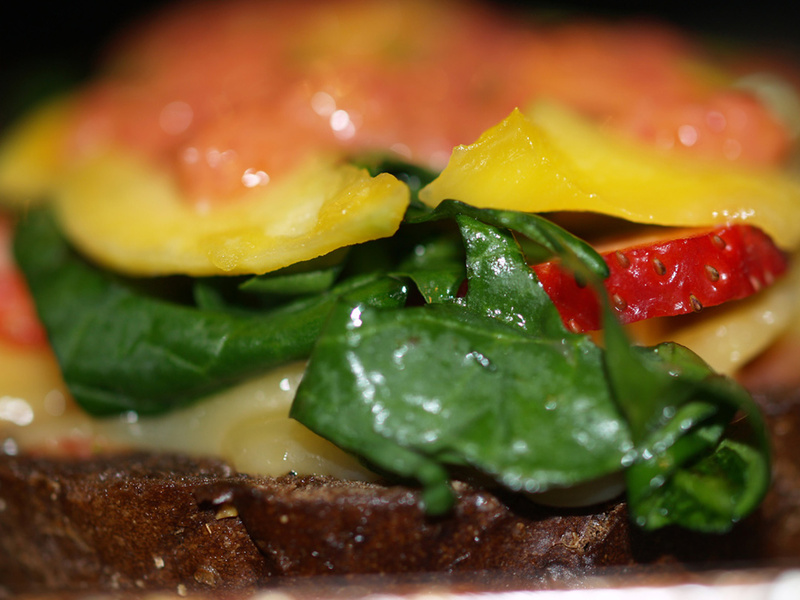 Last week when I was staging, I was treated to a grilled cheese that included portobello mushrooms tossed in balsamic vinaigrette. I began to think why not toss strawberries in an orange vinaigrette? With that idea tossing around in my head, I needed to find a recipe since I have never made a vinaigrette let alone an orange one. Google of course helped me out and I stumbled upon a blood orange vinaigrette recipe. 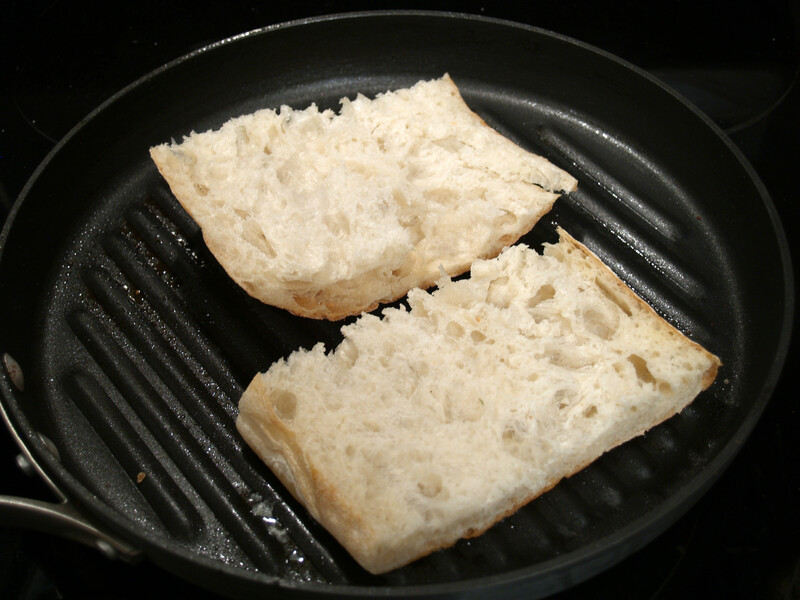 The choice for bread was between ciabatta (above) and a sourdough boule from Whole Foods. 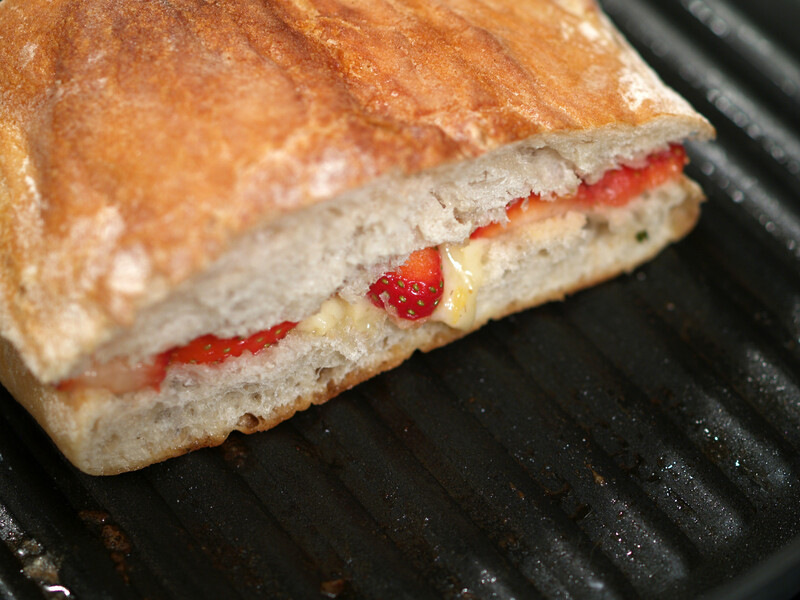 I was leaning towards the sourdough (the sous chef was leaning towards the ciabatta) since I thought it would be heartier and hold up more to the cheese and strawberries. 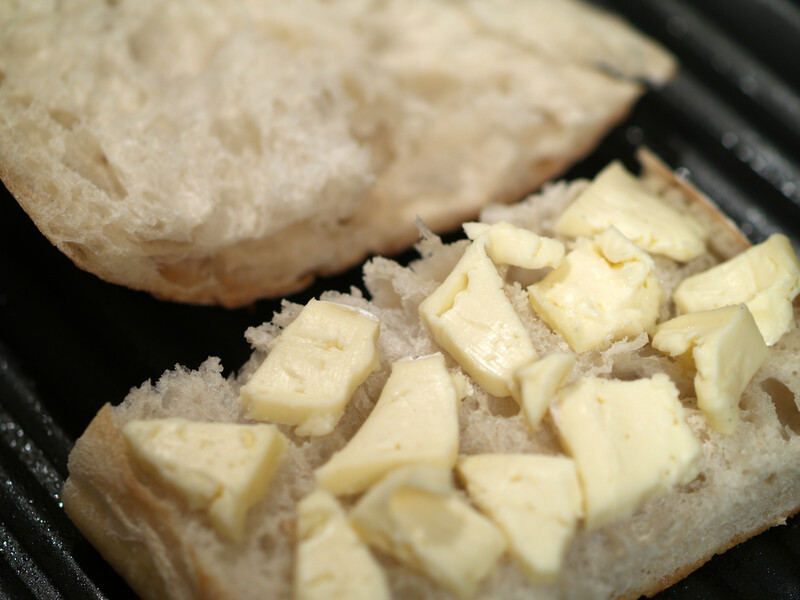 The cheese monger told me to go with the ciabatta. 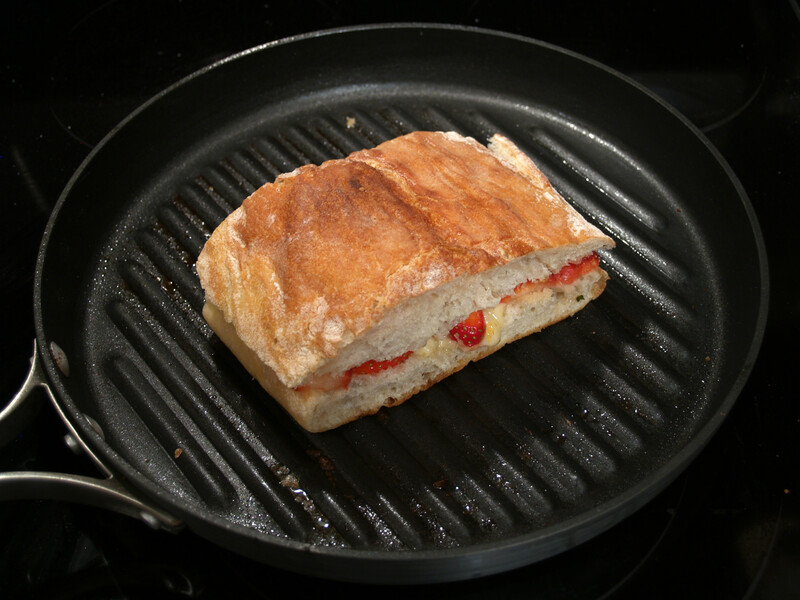 He though the flavors of the ciabatta would work perfectly without overpowering the grilled cheese, which the sourdough might have done. 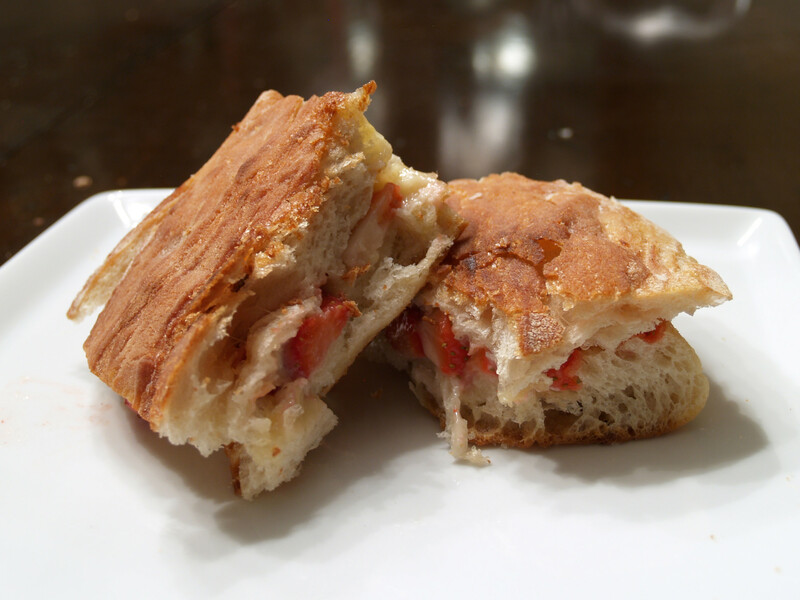 Although the bread started out soft and “weak” it cooked perfectly, becoming crunchy and a great pocket for the grilled cheese sandwiches ingredients. 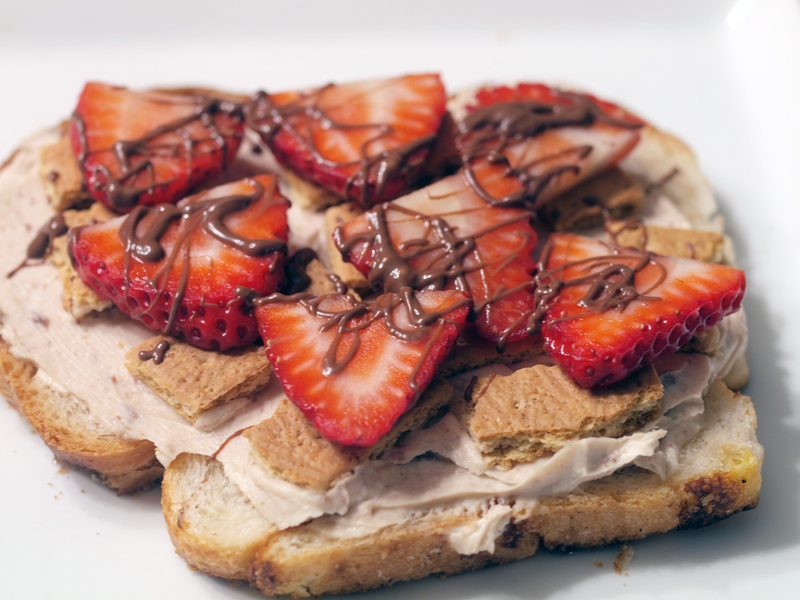 Yes, this grilled cheese could have used more strawberries. Yes, this grilled cheese could have used more orange vinaigrette. 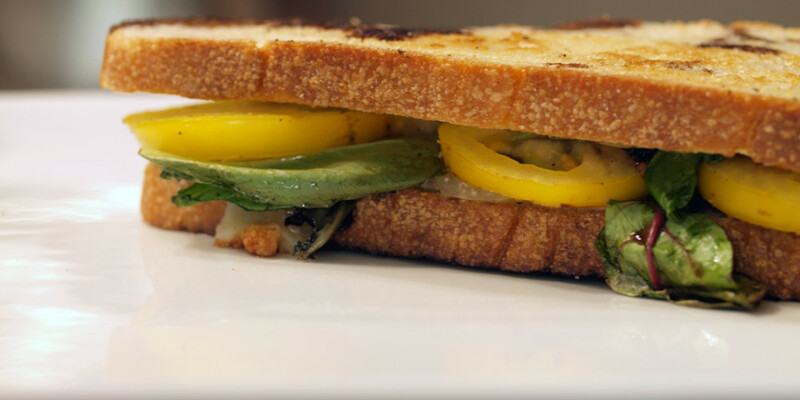 Yes, this grilled cheese was great regardless of those faults. The flavor was still there although it could have been slightly more apparent. I of course went with less as I did not want to totally overpower the sandwich. While eating, I did drizzle some more vinaigrette over a part of the grilled cheese and that turned out to be a bit much. 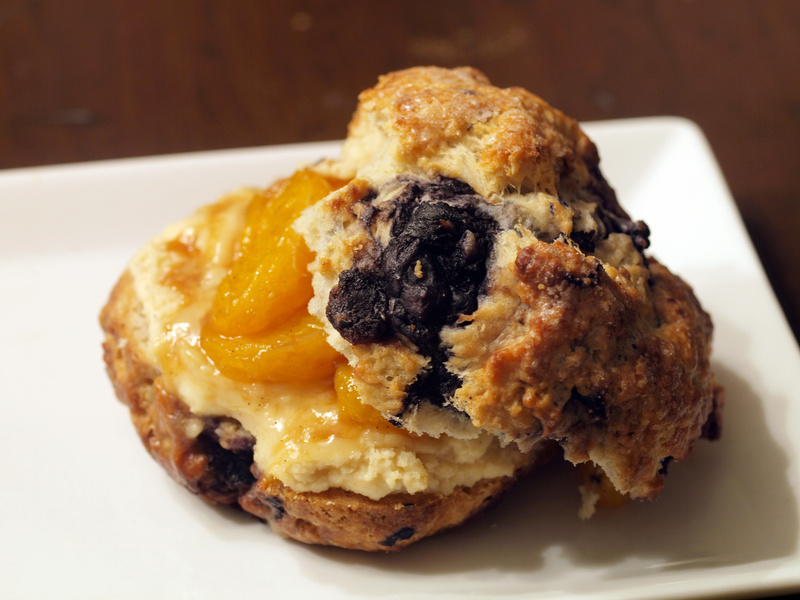 There is definitely a fine line when it comes to flavors, especially fruity flavors. I will have to work on this in future grilled cheeses. I am a big fan of texture, especially a crunchy texture, when it comes to grilled cheese sandwiches and this sandwich definitely had it. 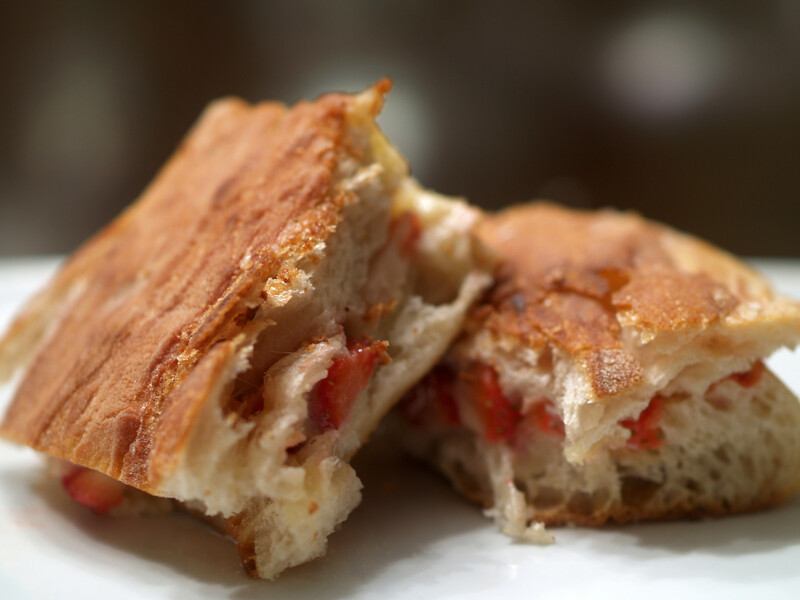 As already stated, the ciabatta really was a perfect bread for this grilled cheese. It was crunchy on the outside but still soft on the inside. It really did grill very well. P.S. Happy belated Valentine’s Day to everyone out there. Hope everyone had a great day and weekend! Cheesiness: A-. Wasn’t overly cheesy but the Brie did definitely melt. Combined Fillings: A-. As said, if there was just a bit more strawberry and orange vinaigrette it would have been perfect. However, it was still pretty darn good the way it was.